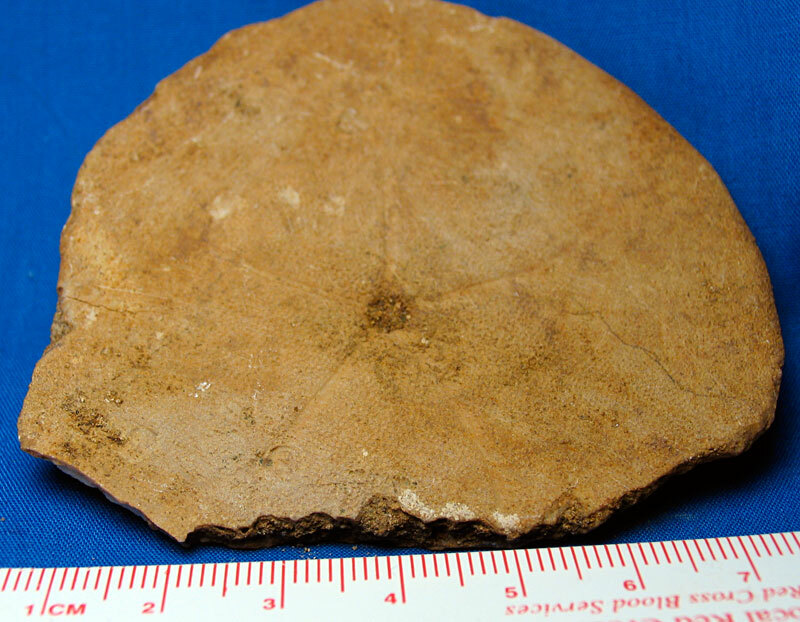 Echinoderm fossil that existed in the Eocene Epoch of the Palaeogene Period. 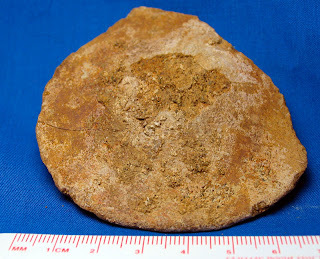 It was found in Monroeville, Alabama (Gosport Sand?). My research shows two sand dollar fossils being found in Alabama: Periarchus lyelli and Protoscutella mississippiensis. This specimen does not have much detail on the top of the fossil.